3/15/2014 – I now live in Naples, Florida! 6/15/2013 – I have relocated to Florida. I’m in Tampa and I think it’s a really great place. What shirts I have are in storage in Colorado. For now, it’s back to Information Technology work here in Tampa. I build a new life here. I’m very fortunate. 2005 – I was born in Frostbite Falls, Minnesota. Before I was a year old, my family moved to southern California. The weather was warm. The beach was 10 miles away. There were mountains. People had swimming pools in their back yards. I remember seeing Tiki stuff around the pools. California is an exciting, vibrant place. You can feel the energy. Talk about getting life off to a great start! I now live in Minnesota again. It’s got a lot of great things going for it, but the weather isn’t one of them. Please, buy a shirt and help get me out of here!!! Snorkeling Pictures from my 2007 trip to the big island of Hawaii. 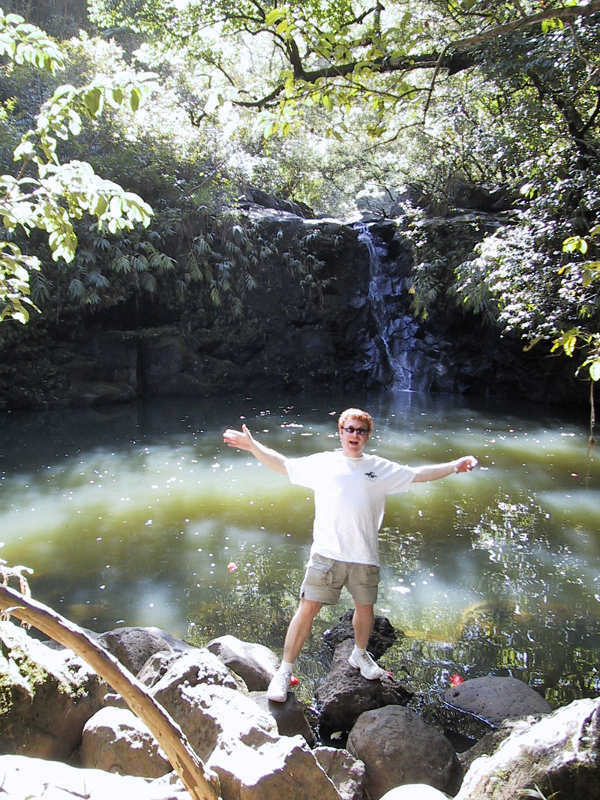 More pictures from my 2007 trip to the Big Island of Hawaii.